Wait! If you have a swarm of bees that are threatening the safety of you, your family or your neighbors, don’t worry – call your Huntington Beach bee removal experts at Bee Busters! However, sometimes bees will land in an area and stay for a few hours. Sometimes, they will stay a couple days. Don’t fall victim to somebody that just wants your money. Those bees just might leave on their own. If you do want a Huntington Beach bee removal service to help you though, you’ve found the right place! Huntington Beach Bee Removal – Huntington Beach bee removal services may be required if you have bees around your property. While a few bees may not pose a problem, swarms of bees or a colony of bees on your property can become a dangerous situation. 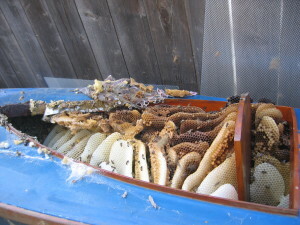 The Huntington Beach bee removal technicians are well trained to deal with various bee problems. They will eliminate both the bees and the honeycombs. Repair to the affected area may also be required. One of the most exciting places to visit in Huntington Beach is the Old World Village. Located across from Bella Terra Shopping Center and next to the Vans Skatepark It is a popular spot among visitors and locals and it includes eight acres of entertainment, shopping, dining and more. This unique center is designed to be a replica of a town in German Bavaria. It includes many delightful specialty stores to visit, wonderful fine dining options and more. While the Old World Village is best known for the Oktoberfest Celebration they have every year, they also offer catering, events and other entertainment options. If you’re visiting Old World village you’re probably not doing so to see bees. 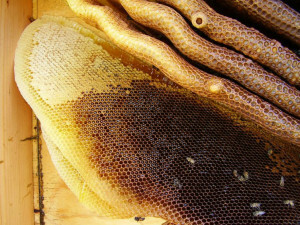 No one wants to worry about getting stung, especially if someone in the family has an allergic reaction. 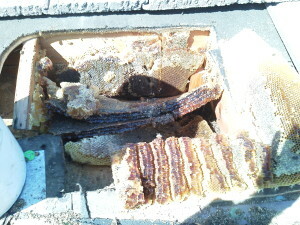 The good news is that in Huntington Beach, bee removal experts at Bee Busters are available 24/7 and 365 days a year. Trying to remove bees, wasps or yellow jackets yourself can be dangerous. That means you may want a State licensed Bee Removal company to take care of the job. For a reasonable price, you can use local services in the area to remove any bees you have on your property or around your home. If bees, wasps or yellow jackets have become a problem around your home or property, it is time to let the professionals take care of these problems. Whether you are ready for bee removal or rescue or you want to learn more about your options, you can call Bee Busters @ 949-497-6264. Call your Huntington Beach bee removal experts today!